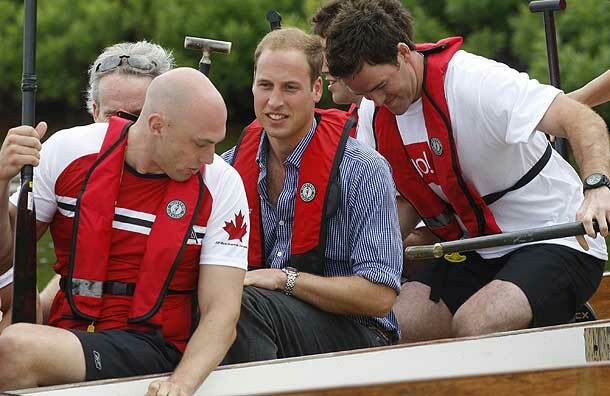 So I am a huge nerd and I totally watched Kate and Will compete against each other in dragon boat at work today. They were supposed to be steering for their teams, but Will decided to paddle and when Kate saw that she opted to paddle too. The race was on Dalvay Lake, Prince Edward Island, along a 200ft course. Will’s team beat Kates team by a third of a boat’s length ahead. Mainly because Kate’s team could not get in sync to save their lives! A couple of times Kate was off and her strokes were kind of shallow, not deep and strong enough. 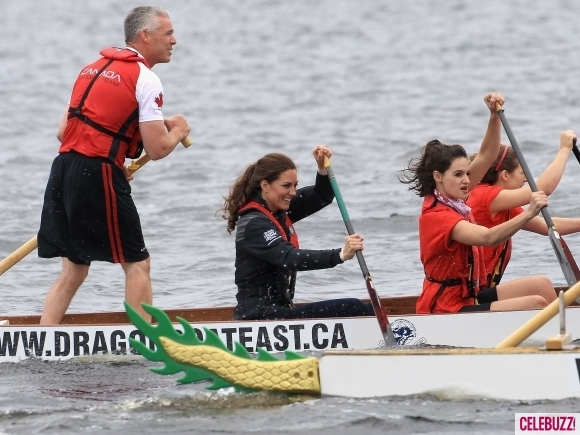 It was still so much fun to watch and I love Kate, and have since 2007 when I saw pics of her dragon boating for The Sisterhood. Notice how off they were?